Last year, Hootsuite raised a whopping $165 million.Well known for its free and inexpensive Pro offerings, Hootsuite has set its targets on winning the enterprise. I recently caught up with Dee Anna McPherson, VP Marketing and Susan Perry, Senior Product Marketing Manager, Enterprise, at Hootsuite to get an update on their progress and plans. 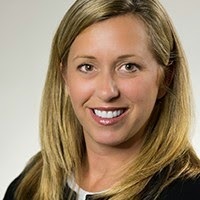 This article follows interviews with executives at two other major social media vendors targeting the enterprise: the VP of Marketing at Sprinklr and the CEO at Spredfast. Hootsuite’s enterprise offering is derived from its Pro edition and offers some enterprise oriented features, removes usage restrictions, and comes with more robust services. There two primary enterprise features are 1) Collaboration support: when a message comes in through a company account monitored by one function that is pertinent to another department, the message can be assigned and routed via the Hootsuite dashboard; 2) Permissions management: Enterprise enables a read-only permission level where messages drafted by team members require approval before publishing. Two primary usage restrictions are removed 1) Social media accounts: there are no restrictions in the number of social accounts managed whereas Pro is limited to 50. Hootsuite shared that the average enterprise has 178 social media accounts; 2) Analytics Reporting: Enterprise clients have unlimited analytics reporting whereas Pro clients are restricted to 10 reports.There are also exclusive analytics modules for Enterprise clients that are integrated with Hootsuite’s back-end infrastructure. Each enterprise client has a dedicated Customer Success Manager, tasked to answer questions, provide new product demonstrations, assist with upgrades, ensure goals are met, share best practices, and provide training. Additionally, Hootsuite provides Enterprise clients assistance with the implementation and launch of their platform. Enterprise clients also receive priority service on support tickets submitted online and can access support through email. Enterprise clients also get free access to an education and training database and customized training, e.g. for social media policy, is also available. Lastly, Enterprise clients have first access to new features and functionality, including API access to networks like Pinterest. Hootsuite defines its enterprise client base as those who adopt more than 10 seats. Based upon this criteria, Hootsuite reports 1,300 enterprise customers. 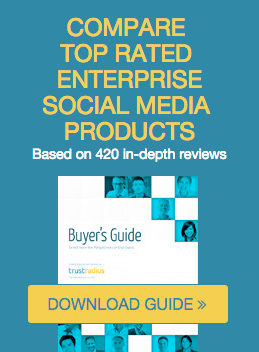 Approximately 40 percent of the Hootsuite Enterprise reviews on TrustRadius are by companies with more than 500 employees. Dee Anna also shared that Hootsuite has 42 enterprise customers with over 100 seats. Examples include John Wiley & Sons (250 seats), Local World (300+ seats), Tangerine Canada, formerly known as ING Direct (100+ seats), a major global hotel chain (1,000 seats), and a branch of the U.S. Military (1,000 seats). The reviews of Hootsuite Enterprise on TrustRadius currently describe implementations of fewer than 30 seats in PR and marketing, though some, like this one, do extol the importance of team workflow capabilities. 1) Avoiding duplicate response to tweets – responses are very visible in the dashboard. 2) Triage where response is required – messages can be assigned for follow-up. 3) Permissions management for content approval before publishing. 1) Social media asset audits. An average enterprise has 178 social profiles. An audit can help identify unauthorized profiles. 2) On-going monitoring. This is particularly important for regulated industries. Monitoring messaging, keywords, and content that cannot be shared by employees; and supporting pre-approved content moderation. When asked about competition, they cited the Marketing Cloud offerings from Salesforce (formerly Radian6 and BuddyMedia) and Adobe as primary competitors. When prompted about whether they compete with enterprise focused social vendors like Sprinklr and Spredfast, they said sometimes. Based upon 19,282 comparisons run by social media software buyers on TrustRadius during Q1 2014, Hootsuite enterprise is compared most frequently to Sprout Social (19%), Radian6/Salesforce Marketing Cloud (9%), Sprinklr (7%), and Spredfast (7%). It is compared to Adobe Social just 3% of the time. When asked about differentiation when compared to the large software company Marketing Clouds, Dee Anna responded, “We emphasize our social DNA. Social moves very quickly. Being a nimble, smaller organization allows us to change. On top of that, we emphasize our ease of use as an analytics product, and our level of support and service, as we live and breathe social”. One of the areas they are spending their $165m is international expansion. “We’re very focused on being able to support global customers. Our dashboard is available in 16 languages, and we offer support in six. Our European headquarters is in London and we have a development center (through the acquisition of Ubervu) in Bucharest. We have 100 employees in Europe. We have launched in Asia Pacific. Our Singapore office is both for sales and support. We integrate with 25 social networks including Bebo and the major Chinese and Russian networks. Hootsuite has leveraged the freemium model very effectively to build a massive client base and significant brand recognition. That model has also allowed it to penetrate the enterprise rapidly, albeit mostly in small pockets or departmental implementations. However, to be a true enterprise contender, the platform will need to evolve significantly. The $165m in funding is a huge war chest to both fund organic development and further acquisitions. The company is also using its funds to add enterprise DNA. They hired a new CTO who was formerly VP Product & Technology at Groupon and VP Technology at Expedia. They also hired a VP of Community who was formerly Cisco’s Senior Director of Social and Digital Marketing. If you're a Hootsuite Enterprise customer, please share your opinion by writing a review or adding your comment below.